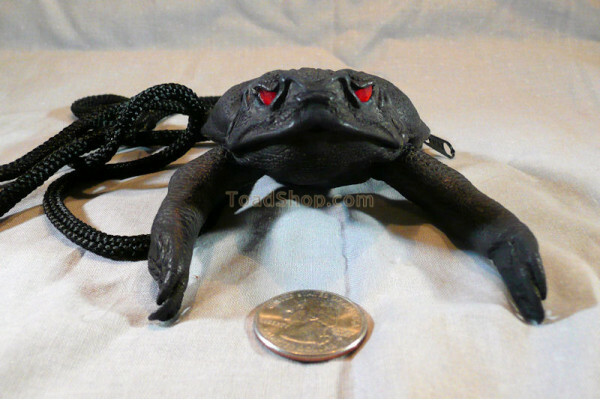 A very unique cane toad coin purse dyed black with red eyes with or without a neck cord. 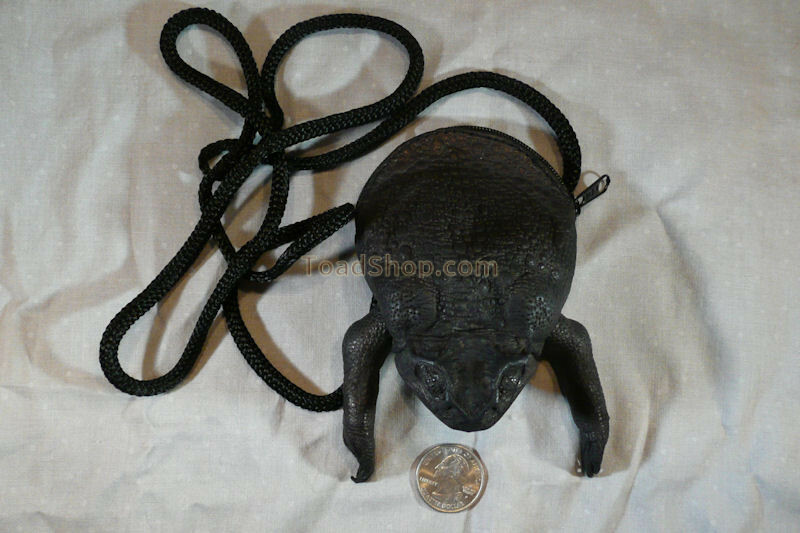 This item is similar in size to a standard cane toad coin purse with legs but it also has a black cord to hang it from your neck. It is dyed black and has very red eyes. Great accessory for your Goth outfit!